← Is Israel the apple of God’s eye? Few will disagree that Chris Tomlin is both a gifted writer/performer and a man after God’s own heart. Often his songs are so majestically inspiring that they exhort and compel us to fall on our knees and worship Jesus. In a recent Sunday service, we sang a very popular Tomlin tune, “Even So Come“. As I surveyed the audience, it was obvious by their impassioned faces that this emotionally engaging song tugged deeply at their heartstrings. It evoked a clear visceral response, especially during the refrain, “Jesus is Coming Soon.” Since the early 70s when I became a Christian, similar tunes like “I Wish We’d All Been Ready” and “The King is coming“, flicks such as “A Thief in the Night” and apocalyptic novels espousing “Late Great Planet Earth” eschatology, were the order of the day. Jesus was clearly coming soon! In 1973 during my sophomore year in college, there wasn’t a day on my commute to USF, where I’d miss gazing up into the clouds wondering if this would be THE DAY when Jesus split the sky. But that was 43 years ago when Robertson, Falwell, and LaHaye assured us that Jesus was coming soon. Rewind to the first century when “Even So Come” would have topped the early church charts. In the AD 60s when Christians were being heavily persecuted, tortured and murdered for their allegiance to Christ, there was no ambiguity as they pleaded “Come Lord Jesus, come!” The slain believers under the altar cried out with a loud voice, saying, “How long, O Lord, holy and true, will You refrain from judging and avenging our blood on those who dwell on the earth?” (Rev 6:10) In the New Testament’s pages, there was an unmistakably eager expectation of the Lord’s coming to both avenge and reward the beleaguered church. How long, indeed! So, 2,000 years ago, Tomlin’s words would have been extremely poignant and far more emotionally compelling than they are today. Why? Because the Holy Spirit convinced every last NT author that Jesus was indeed coming soon. So again, since Chris Tomlin has received no such divine inspiration, what gives him the certainty that he’s right? This is the first verse of “Even So Come”. (1 Cor 1:7) Therefore you do not lack any spiritual gift as you eagerly wait for our Lord Jesus Christ to be revealed. (Heb 9:28) so Christ was offered once to bear the sins of many. To those who eagerly wait for Him He will appear a second time, apart from sin, for salvation. Living nearly 2,000 years after the fact, I am quite frankly baffled by the repeated insistence that “Jesus is coming soon.” Though Tomlin is convinced that after 2,000 years of assuming Jesus’ imminent arrival is even more imminent than ever, I believe the eschatology promoting this kind of soon coming should provoke a rather troubling question. If not then (in the AD 60s when every NT author proclaimed Jesus’ imminent return), why now? What has fundamentally changed that would cause Tomlin to be so confident that we have finally arrived at what has been an interminably imminent moment? Yes, it’s clear that America’s moral climate has degraded to the point where it is rivaling that which has been commonplace in Europe for decades. And yes, the fabric of life as it was in the 1950s has been torn apart and is in disrepair. How often though have we heard the Apostle Paul’s warning to Timothy, “But realize this, that in the last days difficult times will come” used as proof that we must be living in the last days near the end of time? The apocalypse must be just around the corner! The worse things get, the closer to Jesus’ coming…or so many believe. Exposing all manner of wickedness, I constantly hear items plucked from this menu of sinful proclivities as proof that we have finally reached the zenith of a sin-drenched world. But let me pause for a moment and ask a question. Is there truly anything on Paul’s list that is peculiar to 2016? Lovers of self and lovers of money? Disobedient to parents? Ungrateful? Haters of God? Lovers of pleasure? Does anyone seriously believe that this list could not apply to every generation since it was written? If we think that things today are worse than they’ve ever been, I think it’s time we take a serious peek into history to gain context. Perhaps a read through George Holford’s 1805 classic, “The Destruction of Jerusalem – An Absolute & Irresistible Proof of the Divine Origin of Christianity” would be in order (the pdf is only 30 pages in length)? Stop for a moment and put your objective hat on. Do you truly believe that at the time the Apostle Paul issued this warning, that this group of sins wasn’t thoroughly inculcated into that AD 60s generation in which Paul wrote? (and I’m not talking about the 1960s!) Considering the very next verse. “Avoid such men as these“, why in the world was Timothy instructed to “avoid such men” if Paul was specifically targeting our generation 2,000 years into the future? How could Timothy and his disciples avoid evil men who were thousands of years from being born? And since when has anyone argued that the humanism which has swept through Europe and America in the past century, could in any way be construed as “holding to a form of godliness”? There is no semblance of godliness in today’s secularism. This isn’t a description of our day’s moral depravity, but rather of the times in which it was written a few decades after the ruling religious elite who killed Jesus continued to deny their Him as they persecuted His followers. Paul, in his warning to Timothy of that which was to befall that wicked and perverse Christ-killing generation in the latter days, exhorted Timothy to stay the course of godliness. It is imperative that we read the NT letters with first-century glasses. How can we possibly think we can understand Paul’s second letter to Timothy if we rip from it’s AD 60s moorings and time-warp it into the 21st century? (2 Timothy 3:10) But you [Timothy] have carefully followed my doctrine, manner of life, purpose, faith, longsuffering, love, perseverance, 11 persecutions, afflictions, which happened to me at Antioch, at Iconium, at Lystra—what persecutions I endured. How often have you heard a pastor or teacher pluck the following verse completely out of it’s context and apply it specifically to our time? If evil men and imposters have been growing worse and worse since the AD 60s, then we wouldn’t be able to go outside for fear of being murdered. Paul is talking about the wickedness of his time, not ours when false Christs and antichrists were attempting to deceive the Church. (2 Tim 3:13-15) But evil men and impostors will grow worse and worse, deceiving and being deceived. Notice the exhortive contrast in the very next verse to the proliferation of evil. 14 But you [Timothy] must continue in the things which you have learned and been assured of, knowing from whom you have learned them, 15 and that from childhood you have known the Holy Scriptures, which are able to make you wise for salvation through faith which is in Christ Jesus. Yes, there was indeed a crescendo of evil as men were growing worse and worse in the last days of Old Covenant Israel. During the war with Rome (AD 67-70), the wickedness inside Jerusalem was unparalleled. Consider for a moment how the 1st-century Jewish historian, Josephus, characterized the generation to which Paul was referring. “Neither did any other city [Jerusalem] ever suffer such miseries, nor did any age breed a generation [AD 30-70] more fruitful in wickedness than this one, from the beginning of the world.” War of the Jews, Book V, Section X, Flavius Josephus. No generation since the foundation of the world was more fruitful in wickedness? And this includes the days of Noah! How often has someone or perhaps even you cited sins on Paul’s list as proof that we’re living in the last days? Though I don’t have time to fully explore it here, did you know that both Peter (in Acts 2:16-21) and Paul (Hebrew 1:1-2) said rather unequivocally that they were living in the last days? Sidebar note: If the “last days” lasted longer than the Mosaic economy it was supposed to be the tail end of, does that make any sense? If we continue to ignore the meanings of these kinds of simple phrases, I think we do ourselves a grave disservice. 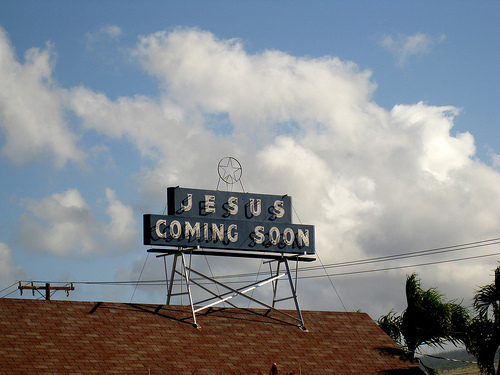 The common theme throughout the New Testament was the eager expectation that Jesus was, in fact, coming soon. So again, the question we all should be asking is, Why now, Chris? Could it be that many ignore the timing because they have not understood the nature of His coming? This sense of imminent anticipation is dripping from the pages of the NT. “EAGERLY WAITING for the revelation of our Lord Jesus Christ…” (1 Cor 1:7) “So Christ was offered once to bear the sins of many. To those who EAGERLY WAIT for Him He will appear a second time, apart from sin, for salvation.” (Heb 9:28) Just before Jesus conquered the grave and ascended to the right Hand of the Father in AD 30, He made clear that He was returning in that first-century generation while some of His followers were still alive. (Matt 24:34; 16:27-28) It should, therefore, be noted that Jesus created this eager anticipation of the blessed hope. We’ve been told ad nauseum that all of the imminent language surrounding the second coming of Christ had no direct relevance to the beleaguered and maligned first-century believers who received it. It has been beaten into our brains that when Peter, Paul, James or John spoke imminently about the Parousia (coming with a consequential presence), that they really didn’t mean it, because after all, God’s timing is not ours. Is time really supposed to be cajoled, manipulated and elasticized to fit the reader’s paradigm? Twenty-six hundred years ago God put an end to the proverb, “The days are prolonged, and every vision fails’”. In other words, just as today when people take Peter’s “a day of the Lord is as a thousand years” out of context arguing that God’s prophetic word is as elastic as silly putty, they did the same in Ezekiel’s day. And notice how God addressed this notion. So again, when Paul wrote, “In A VERY LITTLE WHILE He who is coming will come and WILL NOT DELAY”, are we on safe ground to say, that which Paul prophesied was to take place “many day from now”? If “None of my words will be postponed” doesn’t mean “Will not delay”, what does? Listen, I realize for some this is a very hard teaching. But rather than continue to foster a proverb that God put to rest, shouldn’t we take the intellectually honest high road and try to figure out what Jesus and the NT authors meant by their many imminent statements? Is it possible that they were correct and that our presuppositions are in error? Do you really believe that Jesus, sitting at the right hand of God the Father after He had overcome physical death and ascended to glory, was speaking ambiguously when He said, “things which must soon take place…for the time is near”? Listen, I realize this puts serious pressure on your eschatological worldview and what you’ve been taught for probably your entire Christian life. I understand the angst. I was there wrestling with this very issue for decades. I believe there is a better answer than the one which we have been given for the past 150 years. Read the following words and ask yourself why soon means soon when Tomlin wrote it but in the inspired word of the living God, soon supposedly means thousands of years? How on earth can Tomlin know that Jesus is coming soon? Sure, he’ll appeal to the condition of our world and conclude that it can’t get much worse. But is that really the case? Does he have any understanding of history? Are we truly living in the most horrific times’ mankind has ever experienced? Is it possible that times have been far worse, especially in the first century just prior to the destruction of Jerusalem in AD 70? And is it possible that the NT reference to “last days” was not speaking about the end of the world but rather the end of the age? A King James mistranslation of Matthew 24:3 has created some rather skewed expectations. The disciples asked Jesus when the “end of the age [aion]” and NOT “end of the world [kosmos]” would come. This is absolutely critical. Did you know that there’s not one reference in the NT referring to the “end of the world“? I highly recommend three lectures/sermons which may answer many of your questions. The first is from an Australian pastor, John Alley as he specifically targeted the Olivet Discourse in Matthew 24. The other two come from Bruce Gore who is one of the best teachers in biblical history I’ve ever encountered. 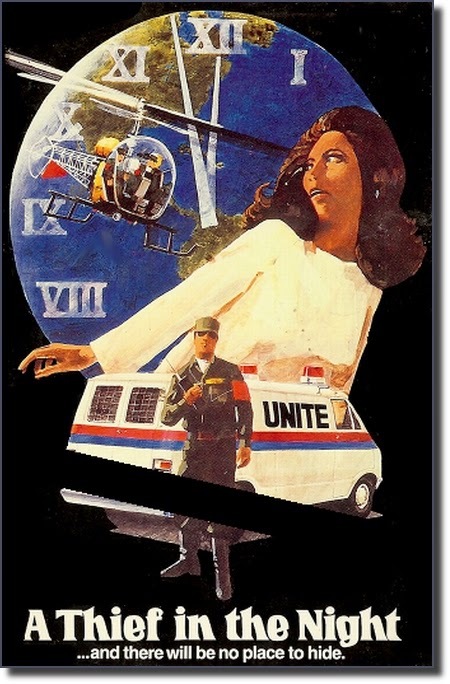 These come from his “Apocalypse in Space and Time” series. This entry was posted in 2nd Coming, Eschatology. Bookmark the permalink.